Brian J. Buckelew - Morain & Buckelew, LLC. Brian has been practicing law since 1992 and exclusively represents injured individuals in workers’ compensation claims. He is recognized around the state as a leader in advocating for injured workers to insure that their rights are protected and that they receive all the benefits that the law provides. He has developed an expertise litigating complicated injury claims under the Georgia Workers’ Compensation Act. Mr. Buckelew has extensive experience at all levels of workers compensation litigation, having tried a significant number of cases to hearing, and having handled numerous appeals to the Appellate Division, various Superior Courts and the Georgia Court of Appeals and the Georgia Supreme Court. He has been a frequent lecturer on workers’ compensation issues at educational seminars for attorneys who practice workers’ compensation. Mr. Buckelew is also committed to giving back to his profession and his community. He is active in the Atlanta Bar Association and the State Bar of Georgia. 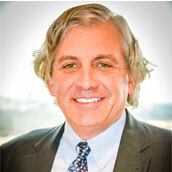 He is a past president of the Workers Compensation Section of the Atlanta Bar. He has served as president of the Workers’ Compensation Claimant’s Lawyers Section of the Georgia Trial Lawyers Association, and is currently on the board of directors of that organization. © 2019 Morain & Buckelew, LLC. All Rights Reserved.